Myint & Associates Telecommunications Ltd. owns and operates the first leading and innovative Uptime Institute Tier III design certified ICT (Information Communications Technology) Data Center in Myanmar. M&A Data Center is a classic data center with every element that a data center should have, we have, including data center location and its facilities and environ. M&A Data Center is located at Vantage Tower, Myanmar’s most technologically advanced building which has the high level of security, earthquake resistance safety, fire prevention system and evacuation system. Although a Tier IV design concept was considered at first, as Tier IV design was not suitable nor pragmatic from both a technical and financial point of view, it was decided that Tier III would be the best fitted for the time being in Myanmar. Being a Tier III Level data center, we guarantee Tier III’s service level agreement (SLA) for all our customers. In subsequence years, as trend in technology changes in the IT industry, M&A Data Center plans to advance its capabilities and services such as virtualization and cloud computing services to benefit customers in delivering efficient automated on-demand services whereby IT services are more reliable and responsive to business needs. 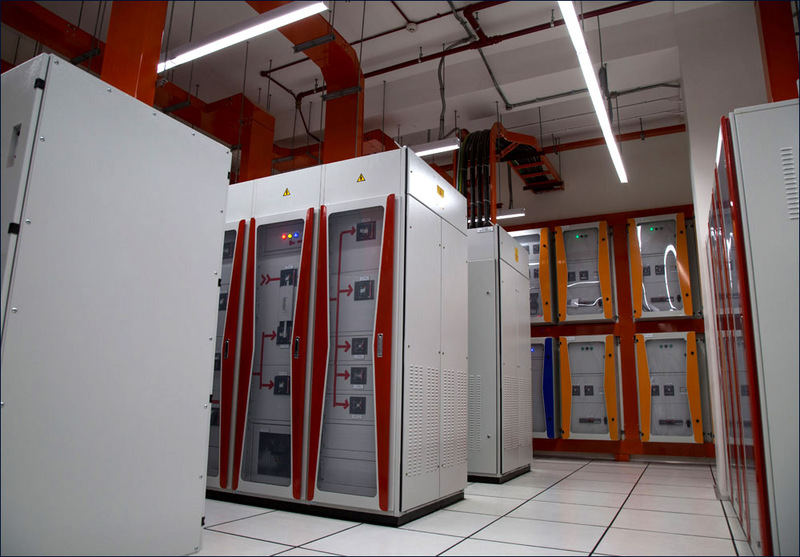 M&A Data Center supplies divergent power sources for each rack with highly redundant power distribution system as well as battery and generator stand-by electricity. M&A Data Center also includes high power back up systems including numbers of generators available for back up. All generators are capable of providing full power to support critical IT load and adequate fuel storage and auto pumping system is implemented, as well. Regular maintenance procedures on generators are applied and 24x7 generator technicians are standby. M&A Data Center’s UPS system designed with N+1 redundancy and can cover power full load capacity of all data center equipment. In M&A Data Center, total of three CRAC (Computer Room Air Conditioning) units supply air cooling across data center area. Air Condition system with N+1 redundant design concept ensures that all critical components are supported for cooling even when one of air condition system fails. Two units of CRAC cover all the data center area whereas the additional one acts as standby unit. CRAC Units used in M&A Data Center are converter type and load density dependent system. CRAC units are equipped with monitoring system which includes temperature and humidity control sensors as well as air pressure sensors and water leak detection sensors on drain pan. Customers can access to their equipment any time night or day in data center, so long as they have the right credentials to pass the security. 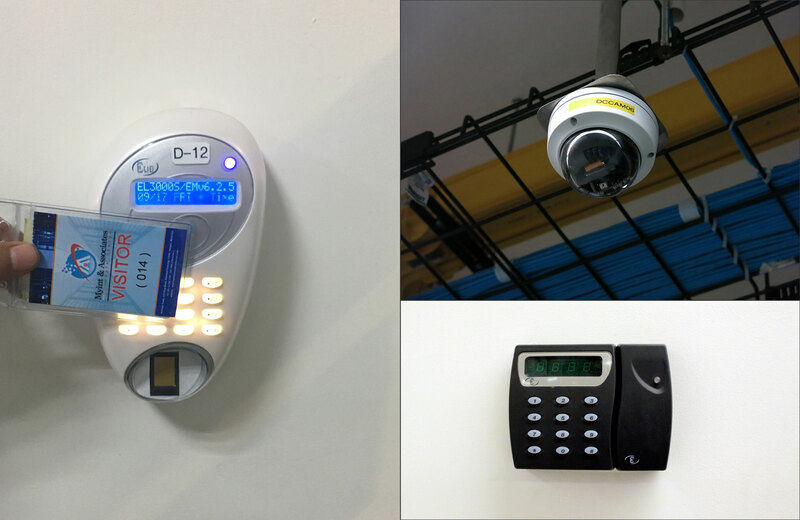 Sites are staffed and monitored 24/7 by trained professionals, backed by CCTV, biometric access, access control card, dual layer door access control, mantraps and unique key lock for each rack. Unauthorized person cannot enter to the data center area without proof of identity and all visitors are checked against customer-defined access lists. All equipment is maintained and monitored in EMS control system. 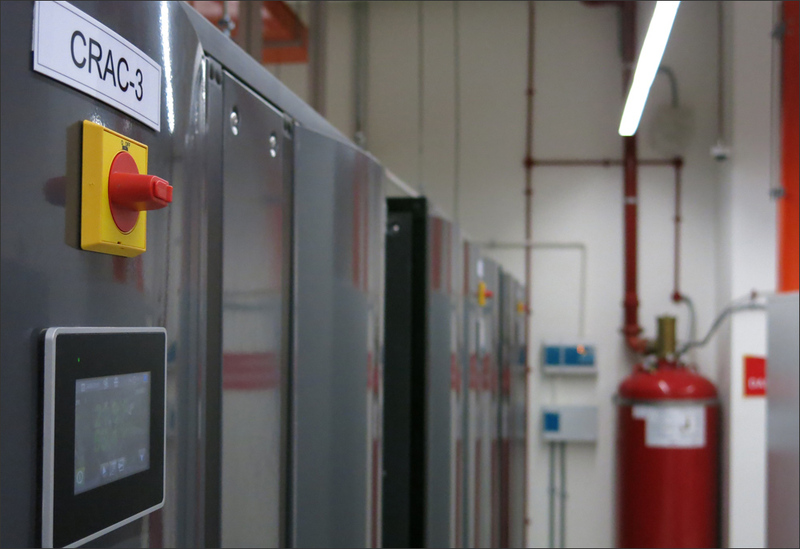 M&A Data Center is equipped with VESDA (Very Early Smoke Detection Alarm System), Water Leak Detection System, UPS Monitoring System, Power Distribution Unit Monitoring System, FM 200 Fire Suppression System and Network Monitoring System. 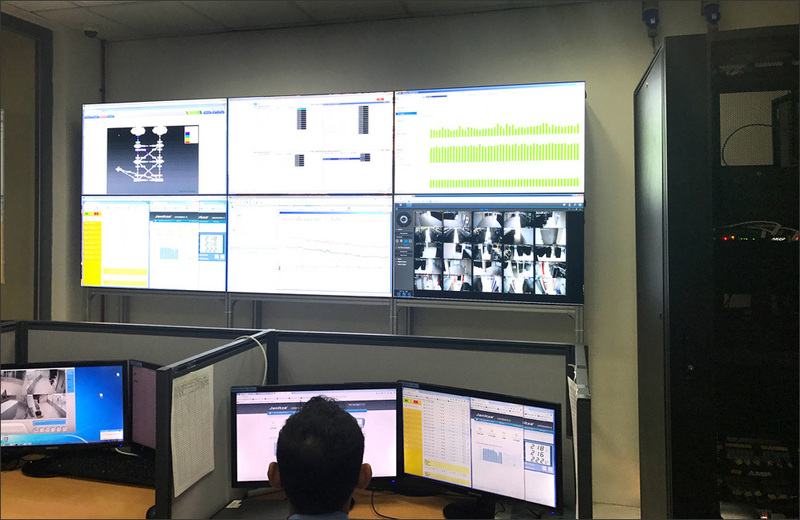 Customer Support and well trained staff of M&A Data Center support 7 days per week and 365 days per year at Network Operation Center. M&A Data Center is a carrier neutral data center and we can provide multiple carrier, both local and international, for the choice of connection by customers. 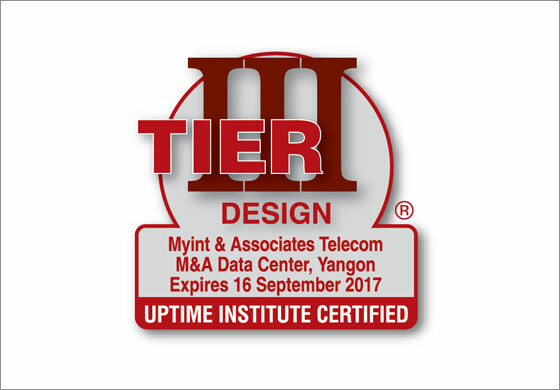 M&A Data Center is the first Uptime Institute certified data center in Myanmar and is also the only facility that has Uptime Institute Tier III design certification. 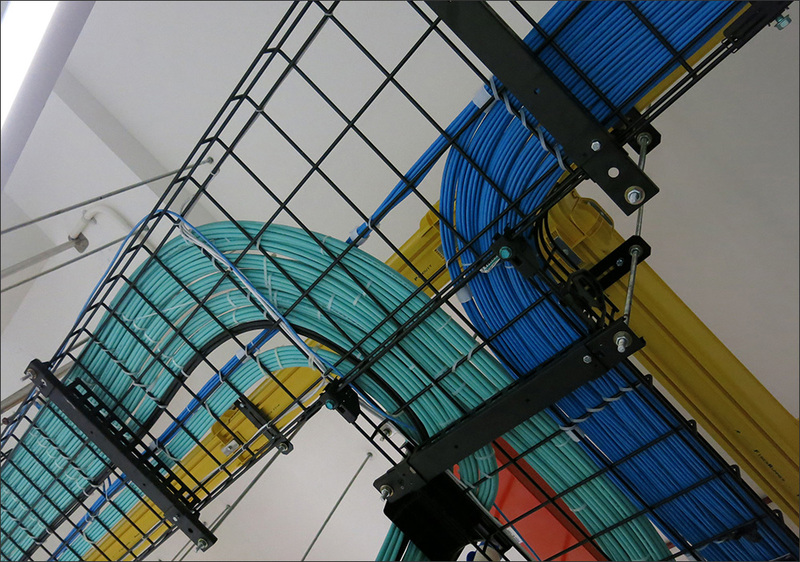 The Uptime Institute is recognized worldwide for the creation and administration of Tier Standards and Certifications for data center design, construction, and operational sustainability. The Uptime Institute is an unbiased advisory organization focused on improving the performance, efficiency, and reliability of business critical infrastructure through innovation, collaboration, and independent certifications. Uptime Institute certification ensures that design, redundancy, security and safety compliance of the highest standards are required. According to the Tier III Design certificate, we guarantee 99.98% on facility and end user downtime is no more than 1.6 hours per year.